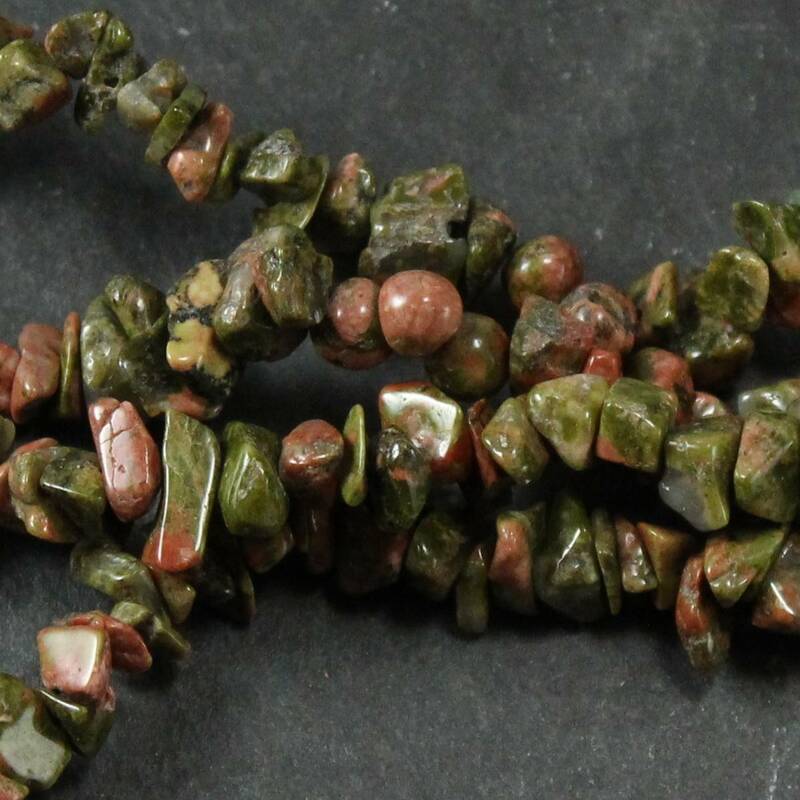 A strand of lovely Unakite beads intended for jewellers! 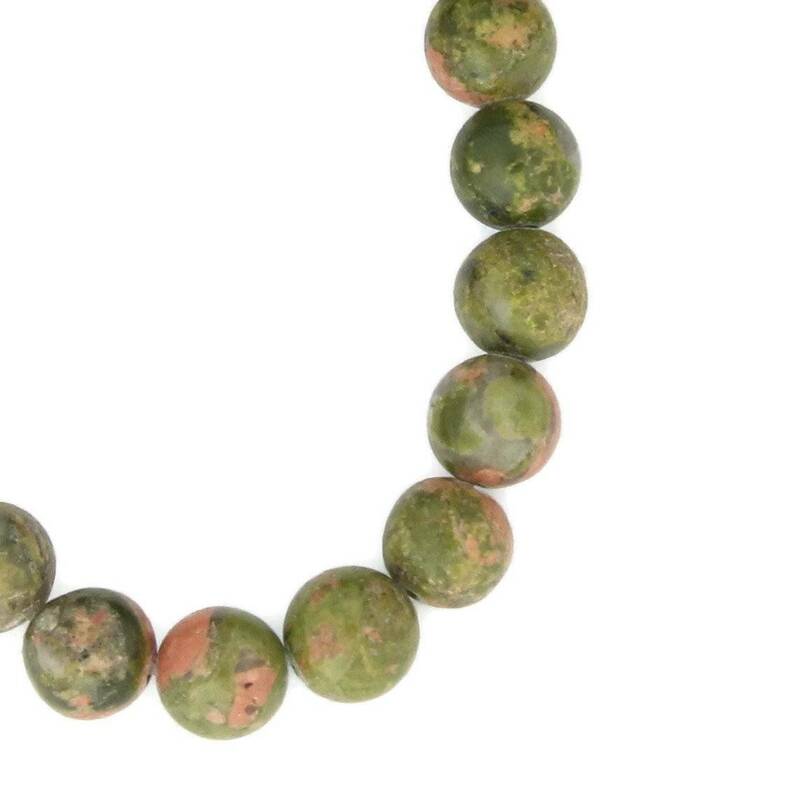 Lovely mixed colours of Unakite beads, for jewellers and beaders. 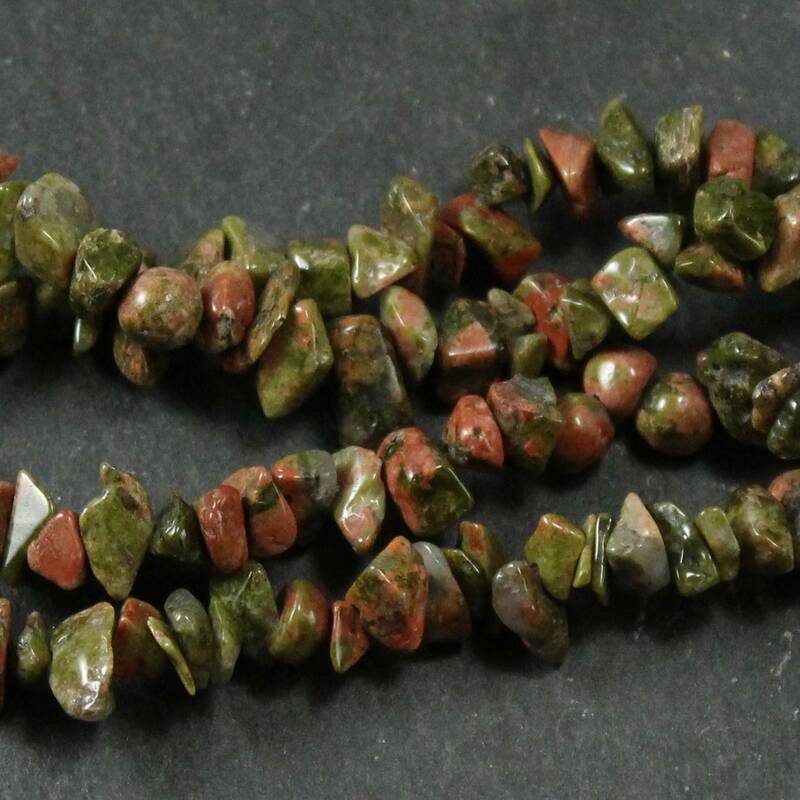 Wonderful Unakite beads, cut from a lovely pink and green stone formed of Epidote, pink Feldspar, and clear or white Quartz. You may notice the stone has some fairly strong tones, and makes a nice statement piece. For a stand out look, you might want to try and contrast it against black beads, or silver findings; however, when paired with some darker antiqued bronze or brass findings it can be quite subtle, too. A very interesting stone, I’m sure you’ll agree! These stones are considered semi precious and are quite reasonably priced, considering the stones current popularity amongst jewellers – especially beaders. 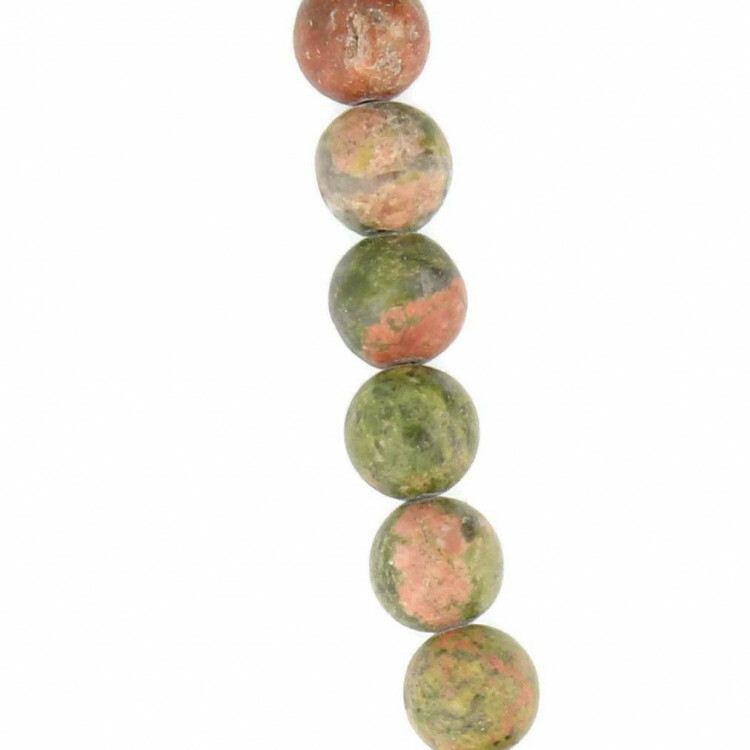 The round beads are on a 40CM approx strand, whereas the chip beads come on a 90CM approx strand. For more information about Unakite, and for a full list of all of our related products, please see our main ‘Unakite’ section. 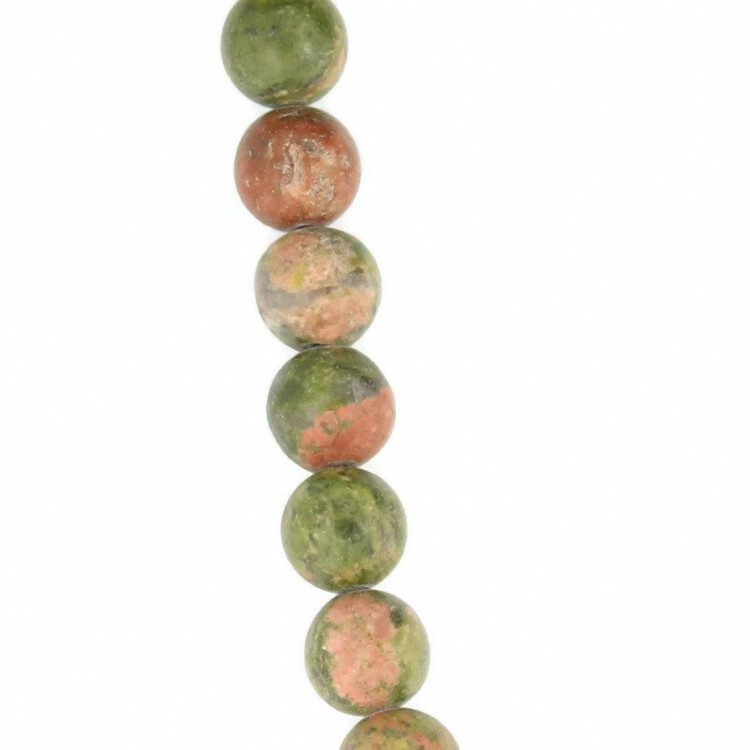 If you’re interested in other beads, we do sell a fairly wide range of semi precious and gemstone beads.